Milton L. Rock — loving and beloved patriarch, perceptive businessman, community-minded philanthropist and forward-thinking magazine founder — died at home of natural causes on Jan. 27, 2018. He was 96 years old. 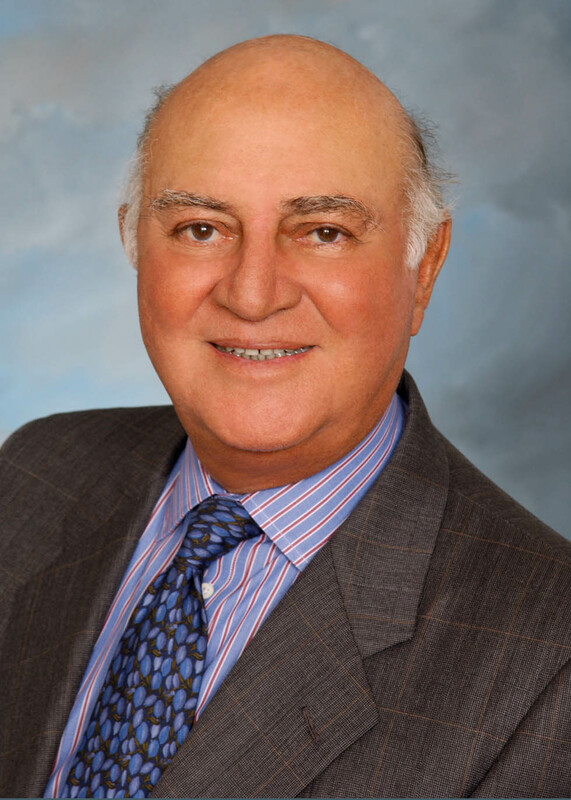 Dr. Rock was the managing partner of Hay Associates, a compensation and human resources consulting firm that was sold to Saatchi & Saatchi in 1985. (Today, it is part of Korn Ferry Hay Group.) After the sale of Hay, Dr. Rock formed MLR Holdings LLC along with his son, Robert H. Rock, and the late Charles E. Fiero, both of whom had worked with him at Hay. MLR owns and operates media and information businesses. Among its first holdings were Directors & Boards and Mergers & Acquisitions, both of which Hay had acquired from their founder, Stanley Foster Reed. 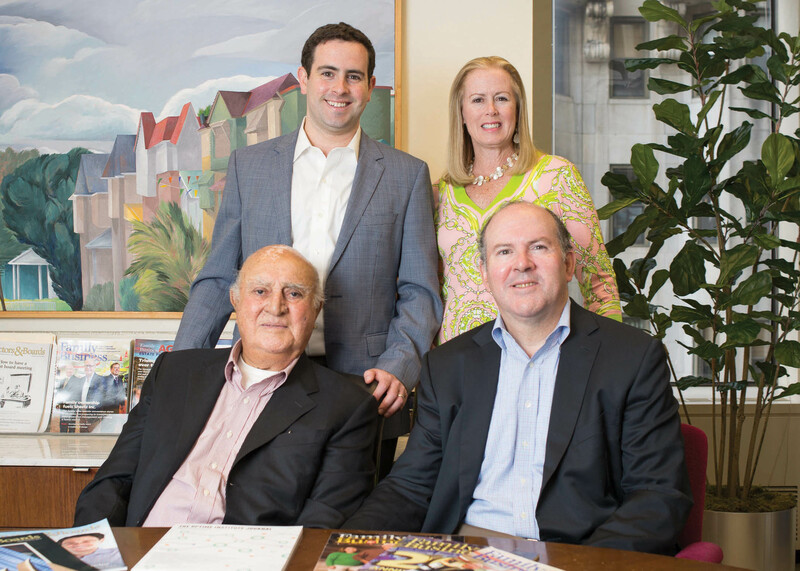 In 1989, recognizing the need for an educational and informational resource for family companies, Dr. Rock founded Family Business Magazine. Until his death, Dr. Rock served as chairman emeritus of MLR Holdings; his son, Bob, succeeded him as chairman in 2016. Dr. Rock’s daughter-in-law, Caro U. Rock, would later join him and Bob at MLR as publisher of Family Business. She had previously been publisher of Main Line Life, a publication of Montgomery Newspapers, formerly owned by the Rock family. Today Dr. Rock’s grandson, William U. Rock, is president of MLR, which also owns The 451 Group, the parent company of Uptime Institute and 451 Research. Working alongside his son and daughter-in-law, Dr. Rock modeled the harmonious and prosperous combination of family and business. Even after his grandson took over his office, Dr. Rock remained a source of wisdom about the workings of the business world. He visited MLR headquarters regularly until well into his 90s, continued to have business lunches with his son and eagerly sought updates on Directors & Boards, Family Business and the Transitions family business conferences. Employees remember Dr. Rock’s kindness, his sense of humor, his insights and his unwavering support of their efforts. “To Milt’s credit and creative foresight, he knew that corporate boards were in need of professionalization, and he saw Directors & Boards as a vehicle to bring professional development on corporate governance to boards of Corporate America,” says James Kristie, who served as D&B’s editor from 1981 until early 2017. Dr. Rock received B.A. and M.A. degrees from Temple University. After serving in the Army Air Corps, he attended the University of Rochester, where he received a Ph.D. in psychology. In 1949, he joined Edward N. Hay in developing Hay Associates, which he helped grow from a three-man firm into a global consultancy with 94 offices and 5,000 clients. In 1972, when his son was about to graduate Harvard College and enter a joint MBA/doctoral program at Harvard Business School, Dr. Rock wrote him a letter that demonstrated his visionary thinking, his studied reasoning, his love for his son and his concern for people — all clearly evident to those who knew him. Dr. Rock authored and edited a number of management books — many along with his son — including Handbook of Wage and Salary Administration, The Mergers & Acquisitions Handbook and Corporate Restructuring. He served as president of the Association of Management Consultants. He provided counsel to top executives at some of the world’s largest companies, including the chairmen of Standard Oil of Indiana, AT&T, General Mills, Metropolitan Life Insurance, Chase Manhattan Bank and Fiat. Dr. Rock became a member of the board of governors of Temple University Hospital in 1974. He served as its chairman from 1985 to 1992 and afterward became a member of the board of directors of Temple University Health System. In 1979, he joined the board of trustees of Temple University and remained an honorary life trustee. He received many awards from Temple, including the Order of the Owl, which recognizes “the accomplishment of an alumnus who has spent a lifetime working for the common good in many fields.” His 1986 gift to Temple helped establish Rock Hall, a performing auditorium for the university’s Boyer College of Music. In 1991, Temple Hospital’s patient tower was named the Shirley and Milton L. Rock Pavilion. A lifelong patron and lover of the arts, Dr. Rock was a longtime trustee of the Pennsylvania Ballet and served as its chair in the 1990s. His gift helped purchase the ballet’s building at Broad and Washington Streets in Philadelphia. That building today houses the Rock School for Dance Education. He was a member of the Curtis Institute of Music’s board and chaired the board from 1989 to 2002. He continued as an honorary chair of the Bok Foundation board and the Curtis board. He endowed Curtis’s Rock Chair in Composition, held by Pulitzer Prize-winning composer Jennifer Higdon, and a student composition fellowship. The fellowship includes a commissioning opportunity to write a dance work to be performed by students of the Rock School. Curtis’s library, the Rock Resource Center, is named in honor of Dr. Rock. He also served on the boards of the Philadelphia Orchestra (1981-1994) and the Philadelphia Museum of Art (1987-1996) and was a member of President Gerald Ford’s National Commission on Manpower Policy (1974-1977). Dr. Rock was married to the former Shirley Ruth Cylinder, whom he met at Temple, until her death in 1988. He is survived by his wife, Constance Benoliel Rock; his daughter, Susan Rock (partner Michael Phillips); his son, Robert H. Rock (wife Caro); grandchildren Liza Herzog (husband Paul Curci), William Rock (wife Carla); and Thomas Rock (wife Kristen); and eight great-grandchildren. A memorial service will be held at Temple Performing Arts Center, 1837 N. Broad St., Philadelphia, on Saturday, Feb. 10, at 1 p.m. In lieu of flowers, the family requests donations to the Rock School for Dance Education, Temple University or the Curtis Institute of Music.